CPH:DOX is one of the most exciting documentary festivals around. With cutting edge programming, the festival pushes the boundaries of nonfiction film and curates brilliantly imaginative programmes. With such an extensive programme, it was hard to make a small selection, but these five feature films stood out as outstanding and innovative examples of documentary. Shining luminous pyramids, cold war fears and callous politicians pervade the layers of secrets and lies surrounding the Chernobyl disaster. Central to the film’s story is Fedor Alexandrovich, a Ukranian artist evacuated to an orphanage in 1986 as a four-year-old amid nuclear contamination concerns. With radiation in his bones, he embarks on an impassioned, angry hunt for the truth. It is human nature to look for patterns. Ross Sutherland begins with the rites of passage that many students go through – syncing up Pink Floyd with Wizard of Oz or Alice in Wonderland and being blown away by the uncanny synchronicity. 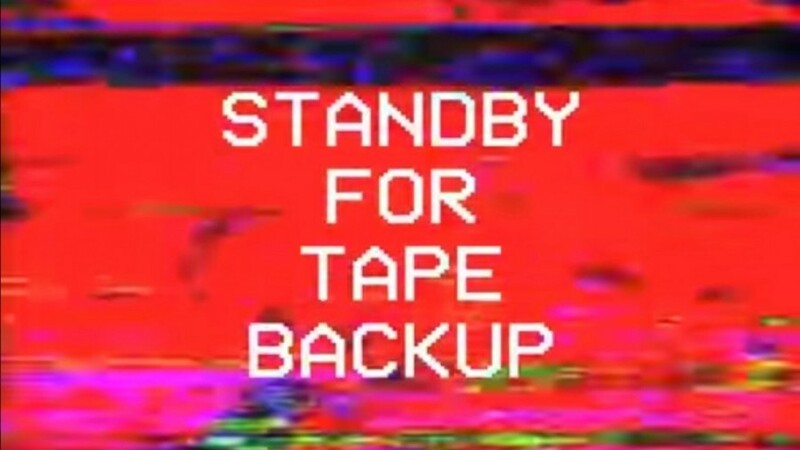 Stand By For Tape Back-Up is a personal relationship with a VHS tape that exists as the last lifeline between Sutherland and his deceased grandfather. Sutherland recalls his life, his close relationship with his granddad and how after watching his granddad’s tape repeatedly, he began to feel that every single frame directly related to the mystery of his existence. Roberto Minervini returned to CPH:DOX with his fourth feature film, an intimate, often shocking portrait of the metamphetamine problem in the USA, racism, and the sense of abandonment that leads people to desperate measures. Mark deals drugs and is gripped with imminent loss. His relationship with fellow addict Lisa is passionate and turbulent.Minervini lingers on the craved moments of intimacy, sharing the raw emotions felt within the troubled community, and ultimately the violence and destruction spawned by desertion. After the obsessive’s galore that was Room 237 (2013), director Rodney Ascher shifts to the kind of horror that crouches in the darkness and strikes its victims at their most vulnerable. Sleep paralysis has been a menace to the slumbering mind for centuries. Eight people share the relentless torment that seeps into their sleep night after night; the reenactments of these experiences build up the sense of terror. Loosely divided into chapters, the film explores the question of supernatural forces, avoidance tactics and how nightmares and horror movies feed into one another. Opening with a clip of the capture and torture of Samuel Doe, the former leader of Liberia in 1990, Fragment 53 journeys through the experiences of seven warriors of the Liberian civil wars. In a set of beautifully shot interviews, the former warlords pose for the camera and share their stories. With the chilling frankness displayed in The Act of Killing, the men discuss the cannibalism and butchering they performed to manoeuvre their way through war.